Fifty years ago, Richard Van Luchene and A.J. Lundquist started Aerotronics in a small garage in BIllings, Mont., outfitting customers’ aircraft with instruments and avionics. “At the time, vacuum tubes were state of the art, and a Narco MK-12 was top of the line,” said Steve Vold, co-owner, general manager and 37-year veteran of the company. 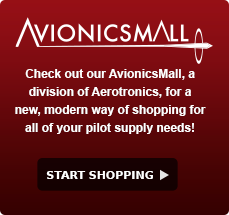 Today, Aerotronics sells, services and installs avionics on general aviation, commercial and experimental aircraft for both domestic and international customers. The Federal Aviation Administration-certified repair station also coordinates closely with local aircraft interior upholstery experts, as well as an aircraft maintenance facility, making Aerotronics a one-stop shop for customers. Vold and Gary Wirrell, co-owner and vice president oversee 20 employees in more than 15,000 square feet of hangar and office space. Much of the equipment they work on, from traffic avoidance systems to primary flight displays, is so sophisticated, so advanced it would have been unrecognizable as avionics during the company’s early days.